The Gavio Group is one of the main industrial groups in Italy. The Group’s activities range from managing motorway networks under concession to the realisation of large-scale infrastructure works, from the sector of transport and logistics to technology and boating sectors. 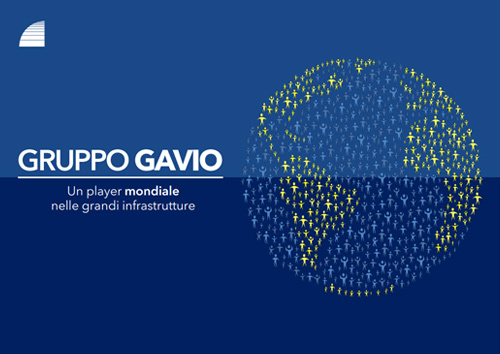 The Gavio Group is active in Italy and in the world with about 10,000 employees with high technical and professional skills, and with aggregate revenues of approximately 2.6 billion Euro. Thanks to their multiyear experience, the Companies of the Group operate together in a synergic manner, thereby ensuring excellent results in terms of efficiency, of service provided and professionalism. The core business of Gavio Group is motorway concessions. It is the fourth toll road operator in the world with 4,150 km of roads under concession. The Group currently operates in Italy about 1,423 km of roads and, through Ecorodovias, one of the main infrastructure players in Brazil, manages in that country about 2,640 km of roads. In the construction sector, the Group operates through its subsidiary Itinera, one of the main Italian companies in the sector in terms of size, revenue, and order backlog, realizing in Italy and abroad large-scale infrastructure works and civil and industrial construction works, both as General Contractor and as a promoter of new initiatives in Public-Private Partnership. In the engineering field, the Group, through its company Sina, carries out the study, the promotion, the design up to the commissioning of new projects in the field of major roads, in addition to the monitoring and maintenance of the same infrastructures. The Gavio Group is also one of the main operators in the sectors of transport and logistics. In the road transport sector the Group operates, in particular, in the transport of petroleum products and containers, with a large fleet of over 3000 vehicles (tractors and trailers) and 1500 employees. In the field of logistics, the Group boasts important logistic and intermodal poles, for concentration and sorting of goods, and the provision of combined services. In this context, Gavio Group manages some of the major port infrastructures in Italy, in addition to cargo storage areas and freight terminals, developing logistic platforms and centres for the interchange among the different modes of transport. The Group is active in the field of technology and information technology, designing, manufacturing, and installing advanced systems applied to transports such as technological systems for the European motorway network, smart toll collection systems, infomobility systems. Gavio Group is present in the boating sector through three prestigious brands: Baglietto, historic shipyard with headquarters in La Spezia with 160 years of history, specialised in the construction of luxury yachts, Bertram Yacht, a boating icon in the United States, and CCN.